You are at:Home»Cruise Lines»Carnival Cruises»Stranded on a Carnival Cruise! Stranded on a Carnival Cruise! Passengers sailing aboard the Carnival Splendor are stranded 55 miles off the coast of Punta San Jacinto where they have been for the last three days. The huge cruise ship has lost power after being blighted by an engine fire. Some people might think this would be a good thing, after all, who wouldn’t want a few extra days on their cruise? Even if they are sea days! However, this cruise is no longer the luxury cruise that passengers had bargained for. With no hot food, no air-con, and for a while, no working toilets… things have become rather rubbish and just a little bit smelly. And those Chilean miners thought they had it bad! The ship has been tugged closer to the shore so that guests can get a telephone reception and call family and friends at home. Many guests also chose to call news outlets to tell them about their experiences. One passenger commented on a positive aspect of the whole experience – the fact that there is very little to do onboard the ship in terms of entertainment means that people are actually talking to each other! That’s something that us brits might find impossible to understand – strangers talking to each other?! However, it seems that a community spirit really has emerged onboard. Unfortunately the positives stop there. 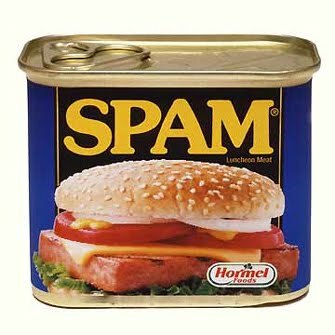 On the menu for dinner each night – Spam, canned crabmeat and Pop-tarts! Not exactly the gourmet food that passengers are used to. No seafood buffets, fillet steaks, or lobster in sight. The food is being delivered to the ship by U.S. Navy Helicopters. With no electricity, there is also no hot water and no lights. People staying in inside cabins have it particularly bad with no natural light filtering in through windows or balcony doors. The boyfriend of one passenger onboard the cruise said the passengers were all coping well and feeling fine, but getting a little worn out emotionally. However, there is some good news for guests on the ship. They will be receiving a full refund for the price of their cruise as well as a credit for a free cruise in the future. Although you might think that they would never want to see another cruise ship for as long as they live – these kind of situations are extremely rare. Firstly it is very unusual for a fire to break out in the first place, but for the back up generators to fail too, it’s just a case of very, very bad luck. It’s unlikely that this event will have a big impact on cruise bookings, the chances of something like this happening on a cruise ship are very slim compared to the chances of something going wrong on any other type of holiday. With Carnival Cruises handling the situation well, disruption to bookings should be minimal. The ship is currently being tugged back into shore and it is expected to arrive sometime today. You can expect lots of people complaining on news reports and a fair few claims for compensation. To be fair, who can blame them after being fed spam? !